Hello Cathy, I hope this email finds you and your family well. I just wanted to tell you how much I enjoyed your last book, Where Has Mummy Gone? It was a very heart-breaking story but I loved it all the same. I have read all of your books and await each new one with bated breath! I am blind and read your books in audio, I am so grateful that you have made them available on audible, you have enabled so many blind people to be able to read them now, I am looking forward to your next one, out in February! many hugs, you’re an amazing lady. Hi, I speak English just a little. I apologize in advance for my terrible errors in this e-mail. When I knew your books, I knew that I have to read all. And I read with bated breath. I have great respect for you. You are doing wonderful job and change life children on better. Hi Cathy. I have just finished my fifth of your amazing books. I want to say a massive thank you from my heart for all that you do! You are truly beyond remarkable! Kudos to you for the selfless work you have done for all these years. You have made such a difference in so many of these precious lives. No child should EVER suffer anything more than the trial of having to wait til after dinner for their sweets as I believe they’re called in the UK. I reside in Australia…we call them lollies! Ì am going to be getting hold of the remainder of your gripping reads asap. They are often heart breaking but I can barely put them down. I have grown to love not only you but your three beautiful children too. I feel as though I know them through reading your books. You must be immensely proud of them. My love & very best wishes to all of you. I will continue to read your books & your beautiful little family will doubtless remain in my thoughts, my heart & my prayers. Kindest regards. I have been fostering for more than 13 years now. I had a really difficult placement this year and could write a book about everything that happened. When this placement broke down I came across your books which are absolutely amazing! At the moment I am reading Will You Love Me? which is quite similar to what happened to me this year. Many aspects of fostering in the UK are similar to Germany, from social workers, social service and fostering agencies to the behaviour the fostering children show. I kept underlining resembling passages in each book. There’s however ONE exception: We don’t need to write the log-notes I just write down any weird behaviour and pass it on to my social worker or the responsible fostering agency. Happy New Year to you and your family. Hi! I would just like to start by saying how truly eye opening your books are, and I really took an interest in them through my mother. She began reading them around a year or so ago, and she now has an entire book case dedicated to them and insists on passing them around to her friends to indulge in! They have inspired her to work towards being a foster carer herself as she grew up surrounded by foster siblings too, so as you can imagine she can highly empathise with your writing and holds them close to her heart. Since reading your work, my mother has also taken extra time to make changes to the lives of those in foster care alongside her day job and domestic work. I look forward to reading more of your writing in the future. It has been over 9 years since I read a book cover to cover – my eldest daughter is 8 years old. I have an 18months old who is a challenge at bedtime and throughout the night. My father in law gave me a kindle so I had something to read in the dark and in 2 months I have read 6 of your books and am currently enjoying another. You have saved my sanity! Your books are beautifully written and I really feel like I know the personalities of the children and adults in them. What wonderful work you do and lives you have changed. Thank you again. Ms. Glass, My daughter is a huge fan of your fostering memoirs! She has never been an avid reader until she started reading your books. She and I were involved in a car accident in 2017 in which she sustained a significant head injury. She was restricted to 2-4 hours of school per day. Being a 10th grader, she was finding herself depressed and saddened due to her lack of social interactions. I purchased one of your books for her with hopes it would distract her some from her own issues. She found herself unable to put your book down. We have almost all of your books, which she has read multiple more than once. She has fell in love with your writing and the stories of the children you were able to touch the lives of. I wanted you to know what a difference you have made in her life and thank you for sharing your experiences as foster caregiver. I honestly feel if I hadn’t found your books, my daughter would have struggled with her medical restrictions but instead was able use your books as a distraction and continues to enjoy reading….because of you! Thank you! 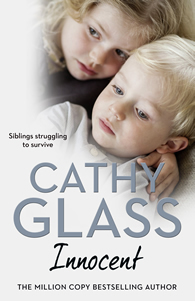 Dear Cathy, I was on honeymoon in Malta and picked up Where Has Mummy Gone?” From page one I couldn’t put it down for all sorts of reasons; I used to work in children’s’ homes and so identify with a lot of the LAC language, I often wonder after the children I cared for and how they are getting on. I grew up with an alcoholic mum who has since gone on to develop vascular dementia. I think it is so amazing that you tell these kids stories, enable us to lift them up in our thoughts and prayers and to keep our feet on the ground. It is by no means glamorous trying to help these kids navigate their circumstances! I want to say thank you for all you have invested in the children you have looked after! I look forward to reading more and seeing the wonderful work you and your family have done! I have just read the first book of yours, Can I Let You Go? It was the best book I’ve ever read. Will be looking for more. Hi. I read your Damaged books and Will You Love Me? Really heart touching books, crying reading after book. I wish you good luck Cathy. Hi. I read your Damaged book. It is the first book I read of yours. I hope Jodie is okay? I think you can understand my English. Hey, Just wanted to say how much I enjoy your books. I have always wanted to foster. I am currently reading Girl Alone and I am really enjoying it. I enjoy it because you bring the emotions through the pages. I enjoy that you write about how each child interacts and also changes the family in the house. And how each child is so different. Thank you very much for sharing your stories. I have read all of your books, you write so well with such articulate care for how it reads. I must say ‘Where Has Mummy Gone’ has touched my heart, maybe due to losing my own mother to this dreadful alienated suffering, but also for how well Melody coped. Amazing Cathy, the world requires more individuals with your qualities of care. Hi Cathy, My journey with your books began 3 years ago when I was a lost teenager and my aunt gave me one of your books in hope to get me back into reading and acting more like’ me’. I want to thank you for sharing all of your amazing stories because I wouldn’t be where I am now without them. Your stories inspired me to finish my studies at college and apply for university where I’m currently in my second year of studying social work. Your stories and details about social work involvement has helped me to a lot to get a sense of my professional identity. I would like to thank you again for all the stories. I cannot wait to read more. Thank you for helping me find myself. Hi, I was adopted when I was 3 and I am still very close to my foster parents. I also went back to live with them when I was 15 as my life became very hard after experiencing some bad times at school. Your books really touch me, all of them and I am now finding them massive comfort. I have 3 children, after a very bad domestic relationship I ended up in prison and haven’t seen my children since 2013 and it never becomes any easier. It haunts me every day. 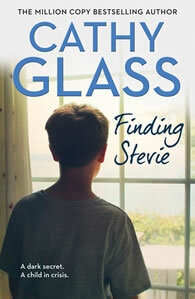 Reading your books helps me to understand foster care. Thank you for sharing your amazing experiences. I just started reading your books – I started with reading about Lucy, then read about Jodie and Michael & have literally just finished reading about lovely Faye and her baby. I then found the updates on your website which are fantastic. I really wanted to send a message to say you are a wonderful person and if only there were more people like you in the world, the world would be a better place. Thank you for sharing an insight into fostering. Hello Cathy I started reading your books when I picked one at random at our local Asda store. I simply couldn’t put it down. I have now read about a dozen of your books each one as superb as the last one. As I am disabled I have now found something worthwhile to help pass the time. Thank you so much for all the pleasure in get reading your books. Hi Cathy, I’ve just finished reading Where Has Mummy Gone. Another brilliant story which made me cry in places, just shows how drugs and drink ruins lives. Hello Cathy I have just finished your latest book…. where has mummy gone and it was another great read Cathy. Melody was so loyal to her mother and loved her very much. But it was illness that came between them. When I finished reading this book I had this strange urge to start making cupcakes. Thank you Cathy for letting me into your world and family life once again. Keep up the good work. Love to you and your family, I can’t wait to see what you have in store for your next book. Thank you for all the books you’ve written. I just have to say I appreciate everything you have written about! Much love. Dear Cathy, I’ve read about 10-12 books you have written. I just finished reading about Dawn. I’m 16 and planning on doing my higher studies on psychology and I can’t begin to say how much your books have increased my interests in psychology and helping children with problems. It’s through books like yours that we get a good look into real problems. I just wanted to let you know that everything you have written has played a major role in me selecting what subjects I’d like to study or rather what I want to do one day. I hope you continue writing the stories of children you foster. I also love the way your children have been brought up. Wishing you all the very best in future, take care and may God bless you all. Much Love. 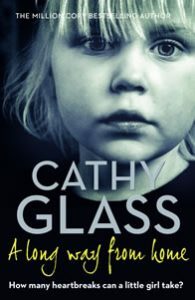 Hi Cathy, I’ve just finished reading ‘The Child Bride’, it was heart-breaking. I am addicted to your books. I recently found out that my local library also did e-books so I’ve read three of your books within three days. I’ve been unable to put my phone down. I’m just starting to read ‘Saving Danny’ and I know it’ll be finished by tomorrow. I’m usually an early sleeper but I’ve been up until late reading your books and I’m spending my lunch break reading too! You truly are a great person, you’ve helped so many children and adults through the hardest times of their lives and made them feel loved and wanted. Reading comments on your website it seems you’ve touched so many people’s hearts, including mine! Keep it up! Kindest Regards. Hello Cathy, I just wanted to say how moving your book was – “Mummy Told Me Not To Tell.” I came across this book while clearing out a crack den one weekend as part of a community project. I started to read your story regarding Reece being placed into your care. You are one remarkable woman who has helped so many unfortunate children in the system rebuild their trust. You should be so proud of what you have achieved. I will be purchasing more of your books. Regards. Hi Cathy, I am halfway through reading “I Miss Mummy”. This book jumped out at me whilst in a book shop probably because we are experiencing something similar. Your books are very political. Why aren’t the powers to be taking on points you raise? The mental health of the future generations should be paramount. Due to draconian laws decisions are made that are not humane. Thank you for recording practices that need to be revised. Hi Cathy, I recently moved to the USA from Ireland and I was in Walmart last week. I sometimes pick up books if I am in the mood to read. Your book popped out at me. Where Has Mummy Gone. I picked this book up and from just looking at the front cover I knew it was the book for me. I read it in 2 days around my busy work schedule. Half way through the book I knew I needed to buy another, so I went straight to Amazon and ordered ‘Cut’. Half way through this book I just can’t put them down. I just ordered ‘Mummy Told Me Mot To Tell’. I am currently now a new and big fan of your books and thank you for writing them. I have read all of your books, each one makes me cry. Thank you so much for the lovely books. All my love and appreciation. I’ve just finished reading the book Girl Alone’ and I loved it so much. I can relate to stuff that happened. ’m going to buy more of your books ! Thank you. Cathy I’m on holiday in Greece. Just read your book, A Long Way From Home and wanted to say what an amazing lady you are . And a caring person to all your foster children. Your book was brilliant. I couldn’t put it down. Going to start on Where Has Mummy Gone. Hi Cathy, I started reading your books back at the beginning of September when I saw the book I Miss Mommy in my local shop and decided to give it a go. I’m hooked and have read 9 more of your books since then. You are such an inspirational lady who’s given so much and helped so many children. Thanks for sharing your stories with the world. Hi, I have just finished reading Where Has Mommy Gone. I enjoyed the book and it made me cry in parts. Dear Cathy, I have just finished reading Cruel To Be Kind. Like so many of your readers I couldn’t book this book down until the very last page, some with tears falling down my face. There are quite a few of your books I have read and have enjoyed reading all of them with sadness in my heart for all those children you have taken great care in looking after. Hi Cathy, I have just finished your book Cut. Wow I loved it. I read it in two days, I couldn’t put it down. My life has been similar to Dawn’s. I grew up in care as my mother couldn’t handle me and have struggled with mental illness and trauma. It was so touching to realise that there are people in the world who have similar experiences to me. I would have loved to have someone like you in my life. I’m still trying to get my life together. If Dawn managed it then so can I. I have often wanted to write books about my life, I love reading, it’s like an escape for me. I have been in a dark place with losing my gran. Your book gave me hope. Thank you for that Cathy. Thanks for restoring my faith. Hi Cathy, firstly, thank you so much for Where Has Mummy Gone. You may remember me, as a blind reader, wanting your books in audio. While I have some catching up to do with your work the audio books are a fantastic read. You should listen to them, they are so emotional! Just finished Where Has Mummy Gone? Excellent book, love them all! Have just read your new book Where has mummy gone? Another beautifully written book/story. You are such a talented lady who helps children in such desperate need of help. Carry on the good work and keep the books coming. Hi Cathy, I really love reading your books and look forward to when you bring a new one out. 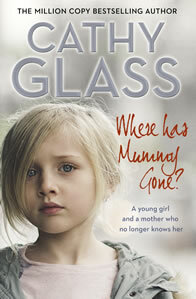 I am currently reading Where Has Mummy Gone. Hi Cathy I just read the story of your daughter Lucy (Will You Love Me?) and just wanted to say I love reading your books. They are told in a really straightforward non sensationalist way. I believe they give the reader a glimpse into you and your families lives as well as giving lots of practical insight and wisdom. I look forward to reading more. I am currently on Saving Danny. Hi Cathy, I have just finished reading Melody’s story and it has really touched me. Dear Cathy I just wanted to say how much I have enjoyed your latest book and in fact all your books, I read over at least twice! Your books give me such a sense of order peace and calm as I tackle my own household as a single mum to two teenagers who have autism and accompanying learning difficulties. I would love to foster. I used to be a teacher but it wasn’t possible to continue with my boys’ needs. I just wanted to say you’re inspirational and your books are honestly like therapy to me. Hi Cathy, Just finished reading A Long Way From Home. You are my best author so far. I have a biggest problem with your books, just cannot put them down. I have read all your true stories and just ordered Where Has Mummy Gone at 1am. I am taking a lot from your books, trying to understand and be patient with my own kids who are teens. Thank you so much, may you and your family be blessed with good health, peace and happiness always and inspire us with more of your rewarding experiences. Cathy I discovered your books in the library and since then have read 3 and want to continue till I’ve read them all. Your books are so good and from start to finish are a great read. I have always worked with children my whole life and am now working with 3 to 6 year olds. I get many tips from your books on how to deal with the children. Keep writing as you are an inspiration to many! Dear Cathy, my wife is a journalist and recently she bought you book, Damaged a Sinhala translate copy. She was amazed and shocked and ultimately became a huge fan of yours within few days. Since she is not much fluent in English she asked me to write to you. May god bless you with strength to write more stories as they make people more sensitive. Thank you very much. Hi Cathy, I enjoy reading your books. They have touched me so much I feel your pain and happiness. I wish you and your family happiness and luck with the future. Your books were recommended to me by a very close friend and the first one I borrowed from her was Run, Mummy, Run. I just wanted to say that you have such a beautiful way with words yet you still capture the raw feeling of the characters. I related strongly to Aisha and the way you presented her was beautiful. I cried at points throughout the book but at the end you made me, through Aisha, feel stronger about myself. I just wanted to thank you. So many authors portray abuse survivors incorrectly or in this fantasy way and you captured it so well. Thanks to your book I went out and finally sought some help years after because you made me realise I could. I look forward to reading the rest of your books. I admire you for your way with words, and as a child in the care system I admire you for your work as a foster carer. Once again thank you. To Cathy, I just finished you book Girl Alone and I thought it was great. I was inspired by Joss’s story and of course you. I think it’s great that you write books about the foster children you take care of. I have read several of your books, and have loved every single one. I really can’t get enough of them. Your warm hearted personality shines through all your fostering experiences. You have helped so many young people find happiness, you truly are an inspiration. Each time I go to the library I head straight to the shelves containing your books, hoping there is one I haven’t read. Hello, I’m 25 and dyslexic, always struggled in school, college and work life. Thankfully as I’ve got older I’ve become more focused and am much better with reading, writing, spelling and hardly ever struggle now. Because of this I’ve never taken an interest in reading, but my mum borrowed your book A Baby’s Cry. Something about it caught my eye and I picked it up and I couldn’t put it down! Read the full book within a few days, and also Can I let you go? I’ve absolutely enjoyed reading these books! And it’s made me want to become a foster carer in the future. Thank you so much. Hi Cathy! I’m 18 years old and from Sri Lanka. I just read the book The Child Bride. I was quite fazed after reading it. I just can’t believe a 14 year old girl faced something like that. But I feel so proud of Zeena. She is such a brave and a very intelligent girl! A good example to all of us girls. Thank you. Hi Cathy, I hope you are well and enjoying our sunshine. I enjoy reading your books so much that sometimes they only take me 24 hours to read. The last one I read was My Dad’s A Policeman and it took me an hour and a half. I really enjoy all of them but one sticks in my in mind and is Damaged. That poor girl I really don’t know how you stuck by her. It took strength for you to carry on. That’s why I admire you so very much. You never give up. Adrian, Paula and Lucy are brilliant too. They just accept any child you have and help in anyway. I look forward to hearing from you soon, and hope I can have more to read. Best wishes. I have just finished your Lisa Stone novel, Stalker. I must say it kept me enthralled, it was hard to put it down. When is next one that involves Beth and Matt? Let’s hope it isn’t too long. Hi I’ve just finished reading your book Cruel To Be Kind and really enjoyed it. I could not put it down. I really felt like I was there in your book. I can’t even describe how I felt while reading it but my heart goes out to you and your family and to Max and his family. I’ve been through bad times myself so I can truly understand. Dear Cathy (Lisa) Stalker is amazing. How did you learn so much about computers? Did Adrian teach you!!!! Wow! I just read Damaged and I couldn’t put it down. I am a social worker in the United States and reading this really helped me experience what foster parents endure. I also agree that the child welfare system is not perfect. I know that one part I took from your book is that I will do my best to make sure I spend quality time with my foster parents. I have been guilty a time or two of doing short visits with foster parents if I know the children are in a safe place and doing well. Sometimes with high caseloads we have to prioritize. That being said, with a case like Jodies, I would have known it inside and out as well as spent significant time on it. It would have been a high priority for sure. I don’t know the differences between child welfare system where you are from the U.S. but it seems to be similar experiences. All child welfare workers need more resources and recognition for work being done. Thank you for shedding light on this! I have recommended all my social worker peers read this book. God bless you! Hi Cathy, I have now read ‘Daddy’s Little Princess’, ‘Nobody’s Son’, ‘A Long Way from Home’ and ‘Cut’. I’m addicted!! I have also ‘liked’ your Facebook page so that I can indulge in any updates you might have. My partner has ordered me eleven more books! So excited to get my teeth into them. I would like to say a huge thank you again for sharing your outstanding achievements with the young people. I can’t wait to start reading your articles on your website and ordering ‘Happy Kids’. Dear Cathy, I am currently reading one of your heart-warming books ‘The Silent Cry’. I have to say, I am totally moved by it. The way you describe your experiences within mental health really emphasises how difficult and traumatic it is, not only for the person going through said illness, but also for those surrounding them. It gives a real insight into how you felt whilst going through these particular experiences, and it makes me feel connected, in a way, as if I’m there with you, and going through the tough times alongside you and your two children. I just wanted to praise you in your amazing work as a foster carer, mother, neighbour (as seen in the book) and as an author. Hi Cathy, I have just read Stalker and loved it.